PORT OF SPAIN, Trinidad, Apr 6 2014 (IPS) - Since they first emerged as a result of the 1997 Kyoto Protocol, carbon offset markets have been a key part of international emissions reductions agreements, allowing rich countries in the North to invest in “emissions-saving projects” in the South while they continue to emit CO2. The biggest is the U.N.’s Clean Development Mechanism (CDM) for verifying carbon emissions reduction projects in developing countries. According to Dr. Hugh Sealy, chairman of the Executive Board of the CDM, it has generated 396 billion dollars in financial flows from developed to developing countries. “We are fairly proud of that. Very few development banks can say they have had that kind of investment,” Dr. Sealy told IPS. The CDM, which operates under the auspices of the United Nations Framework Convention on Climate Change (UNFCCC), validates and subsequently certifies the effectiveness of projects in reducing carbon emissions. Such certification can then be used as a basis for obtaining Carbon Emission Reduction (CER) credits that are sold to developed countries seeking to meet emissions reduction targets under the Kyoto Protocol. The big problem for local entrepreneurs is that the market for CER credits has collapsed in recent years. In the Caribbean, many of the emissions reductions projects tend to be in the area of windfarming, said Dr. Sealy, since wind technology is proven and banks understand the risks. The Caribbean’s North-East trade winds make it a very viable one as well. Guyana also has a bagasse project for generating steam and electricity. 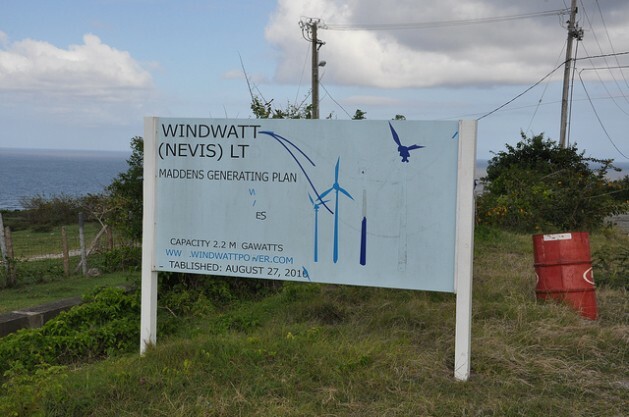 In the Caribbean, there are 18 CDM projects, but only one, the Wigton Windfarm project in Jamaica, has made an application for CER certification. Dr. Sealy said that Wigton, which was registered as a CDM project in 2006, reduced carbon emissions by more than 52,000 tonnes per year in its first phase, and then by 40,000 tonnes per year in its second phase. The challenge facing the Wigton project, as with all CDM projects currently, is the steep decline in the value of CER credits over the past couple of years. Four years ago, Dr. Sealy said, the credits were worth about 104 each dollars. Now they are worth about 50 cents. Dr. Sealy said the UNFCCC’s Conference of the Parties agreed at a recent meeting to the sale of CERs to entities that do not have obligations under the Kyoto Protocol, in an effort to widen the market for CERs. Under this new arrangement, “anybody, whether private or government, if they are going to voluntarily cancel the CER credits” can buy them as their contribution to the fight against climate change, he said. The Brazilian government bought 40,000 CER credits to “green” the Rio+ 20 United Nations Conference on Sustainable Development and has done the same for the upcoming World Cup Football championship in that country. Microsoft has done something similar under a different UNFCCC scheme for reducing emissions, known as REDD+, by buying an unspecified number of carbon credits from Madagascar generated by a rainforest conservation project in that country, according to a report by environmental news website Mongabay.com. According to the report, attributed to the Wildlife Conservation Society, Microsoft bought the credits as part of its carbon neutrality programme. Dr. Sealy attributes the steep decline in CER values to the downturn in the developed countries’ economies since 2008 that led to a reduction in greenhouse gas emissions and thus to a decline in the need for carbon offsets. At the same time, the target set by developed countries for carbon emissions reductions was too low in the first place, he said. “The EU is saying it will aim for 20-30 percent reduction in emissions by 2030. Science is saying we must peak emissions by 2020” in order to reach the target of less than two degrees global warming, Dr. Sealy said. “At some point the developed countries will wake up to that and turn back to the one legal, internationally recognised, functioning market mechanism for reducing carbon emissions,” he said. In the meantime, however, he said, the carbon reduction projects in the region are still bringing the Caribbean many benefits. He pointed out that the increase in renewable energy projects means the energy generation mix is more diverse, making the region more resilient to the effects of natural disasters. Landfill gas mitigation projects in the region are bringing health and environmental benefits, and projects such as one in Haiti for improved cooking stoves are resulting in less soot and less smoke that saves lives. The UNFCCC’s Regional Collaborating Centre (RCC) in Grenada is working to create awareness in the region of current opportunities available to the region through CDM, said Karla Solis-Garcia, the RCC’s team leader. So far, she told IPS, the RCC has provided support “to at least 60 CDM stakeholders with renewable energy (wind, solar and biomass), energy efficiency (improved cooking stoves, and efficient buildings) and landfill gas technology projects. The RCC in Grenada is active in 16 Caribbean countries. Solis-Garcia said the solid waste management sector and electricity sector were particular focuses of the RCC. Dr. Sealy said that the region was in a good place with regard to deriving benefit from CDM projects, since it is accepted that failure to deal with climate change means that many islands will cease to exist. For that reason, he said, countries with obligations under the Kyoto protocol “are quite willing to assist the small islands in any reasonable way they can.” Caribbean islands can, therefore, negotiate for a good price on CER credits, he said, especially if these are from renewable energy projects. I wonder if there is an official source for Dr. Hugh Sealy’s claim that the CDM “has generated 396 billion dollars in financial flows from developed to developing countries.” I cant seem to find other references to this number. Thanks!